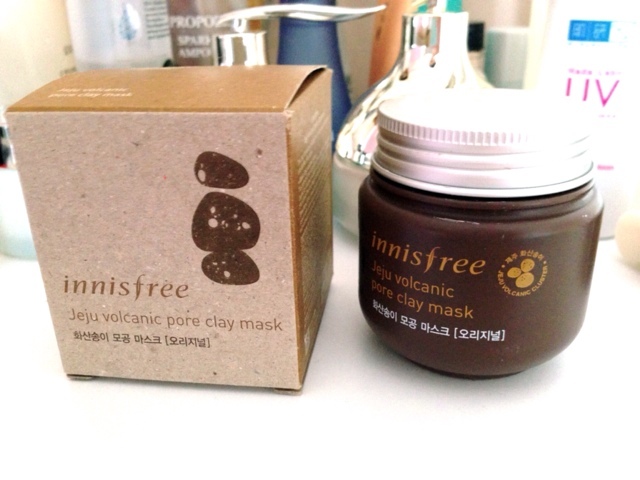 I you are familiar with Innisfree, you must have heard of the Jeju volcanic pore clay mask. It's a very popular Innisfree product, one of their bestsellers. Lately, I have been trying out different clay masks and this one turned out be my favorite. I have the original version, which is more for sebum control, there is also the super volcanic clay mask, a more powerful version suitable for oily skin, for treating pores. According to Innisfree the clay mask contains volcanic rock particles that absorb sebum and impurities to clean skin pores. It's described as a 3-in-1 mask: removing sebum + brightening skin + treating blemishes, soothing and moisturizing. 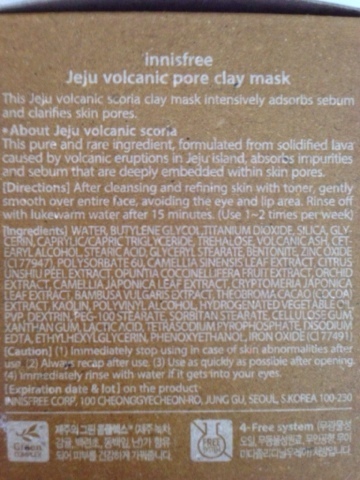 The Jeju volcanic clay is made from hardened lava with a porous structure, it's supposed to deeply clean and absorb sebum. It also claims to deliver minerals deep inside your skin, brighten and clarify your skin tone, and create an ideal texture for make up application. Additionally, its free of mineral oil, animal-originated ingredients and artificial fragrance. Ingredients: Water, Butylene Glycol, Titanium Dioxide, Silica, Glycerin, Caprylic/Capric Triglyceride, Trehalose, Volcanic Ash, Cetearyl Alcohol, Stearic Acid, Glyceryl Stearate, Bentonite, Zinc Oxide, Polysorbate 60, *The green Tea Extract, Tangerine Peel Extract, Prickly Pear Extract, Orchid Extract, Camellia Leaf Extract, Cryptomeria Japonica Leaf Extract, Bamboo Extract, Cocoa Extract, Kaolin, Polyvinyl Alcohol, Hydrogenated Vegetable Oil, PVP, Dextrin, PEG-100 Stearate, Sorbitan Stearate, Cellulose Gum, Xanthan Gum, Lactic Acid, Tetrasodium Pyrophosphate, Disodium EDTA, Ethylhexylglycerin, Phenoxyethanol, Red Iron Oxides. Cosdna analyses shows some minor (1-2) red flags, hydrogenated vegetable oil scores a 3 for acne. The mask comes in a brown plastic jar containing 100ml of product, it looks quite small and portable. When you twist the aluminium cap open there is a plastic film on top. Unfortunately, there was no spatula provided. The jar comes in a recycled paper packaging with description in Korean and English. 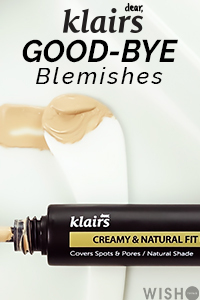 The instruction says to apply it after cleansing and toner, avoiding eye and lip area. Then rinse off with lukewarm water after 15 minutes. If you use toner before applying the clay mask then it might make application slightly more easily and less drying. I tried both methods, with and without toner, didn't notice any difference. I use a small amount for my entire face and let it dry for around 10-20 minutes before washing off with lukewarm water. 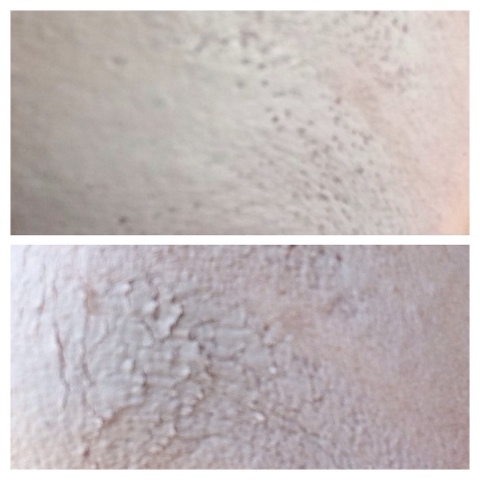 Texture is creamy, the mask spreads easily compared to other regular clay masks. There is no particular scent, I would say it's just scentless. I have combination dehydrated skin so I'm very careful with clay mask and other potential drying skincare products. That's also why I went for the original version instead the super volcanic version. 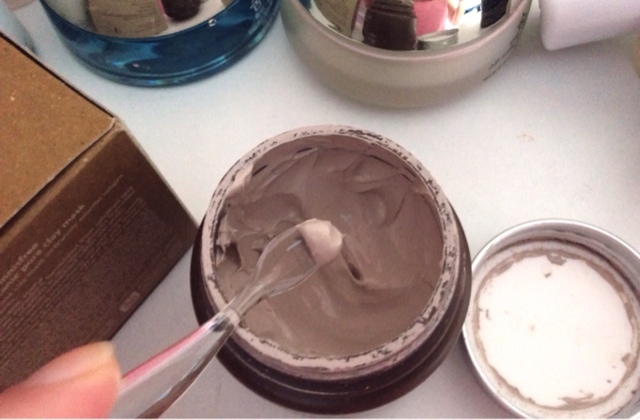 Once applied the clay will dry after 15 minutes, but it won't turn very hard like other regular clay masks. There is no strong stiffness feeling and cracking like with other clay masks. I didn't experience any negative reaction. I like to use the mask when my skin feels oilier than usual. It's main claim is to absorb sebum, I have to say it does a great job at that. My face feels cleaner and fresher without feeling dry. You can see in the picture below how it dries down, before and after 20 minutes. Sorry, I couldn't take any before and after close ups, its not visible with my iphone camera and my professional camera isn't working right now (might update later). I don't know how well it treats blemishes as I don't have active acne. I do have some pimples or red spots here and there, and it does seem like the mask helps to minimalist them and the redness around. So, yes its slightly soothing but I wouldn't say its moisturizing, just not drying. 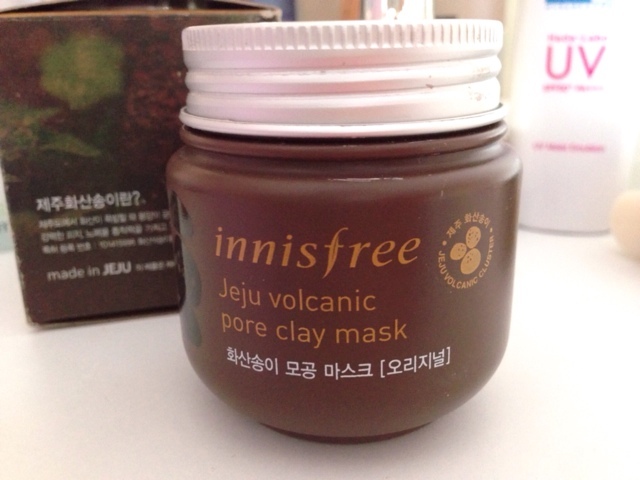 Overall, the Innisfree Jeju volcanic pore clay mask does what it promises, absorbs sebum without being dry. I understand now why so many people love this mask, considering the low price its a perfect clay mask! The pore cleaning effect is not strong but if you are looking for that then I would say go for the super volcanic version. I would love to try the super volcanic version but I'm afraid it will be too drying for my skin, maybe as a spot treatment for some T-zone areas. I have heard so many good reviews on this. Still for my other clay masks to finish up. Adding this to my wishlist. Lovely review.